Dr. David Buelna was born and raised in Houston, Texas. He attended the Village School and later graduated from Strake Jesuit College Preparatory. He always wanted to become a veterinarian and set out to do so since his start at the University of Texas at Austin. He attended St. Georges Veterinary University and lived in the Caribbean for 3 years. Here he earned his Doctorate of Veterinary Medicine and on the side, he earned his PADI Rescue Diver certification. His areas of interest include preventative medicine, ultrasound and other advanced imaging modalities. 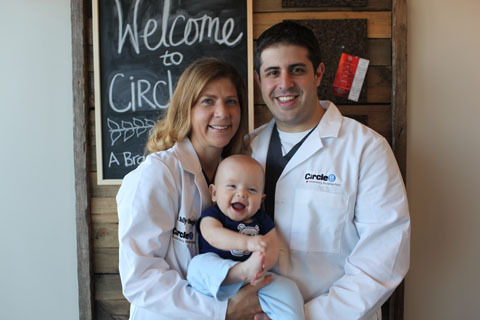 He has 2 super hero sons, Logan and Eli, two dogs, Kona and Riley, with his amazing wife Dr. Molly Obergfell. They spend most of their time working together, outdoors, cooking, and watching movies when not running two businesses! 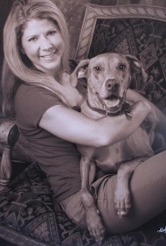 Dr. Molly Obergfell graduated from Texas A&M University with her undergraduate and Doctorate of Veterinary Medicine. As a Veterinary student Dr. Obergfell travelled to South Africa, Europe, Costa Rica, and Mexico working with Veterinarians in Conservation Medicine. After graduation she joined private practice and worked in wellness, surgery, and emergency. Her interests include dermatology and internal medicine, but her favorite aspect of veterinary medicine is being a part of her clients special bond with their pets. Outside of the clinic you can find Dr. Obergfell with her amazing hubby Dr. Buelna, their two precious boys Logan and Eli and their two sweet old furry babies Kona and Riley! Dr. Obergfell enjoys spending time with her boys, cycling, swimming, roller coasters, and live music. Dr. Darla Chow is a native Houstonian. She graduated from St. John’s School in Houston, Texas. 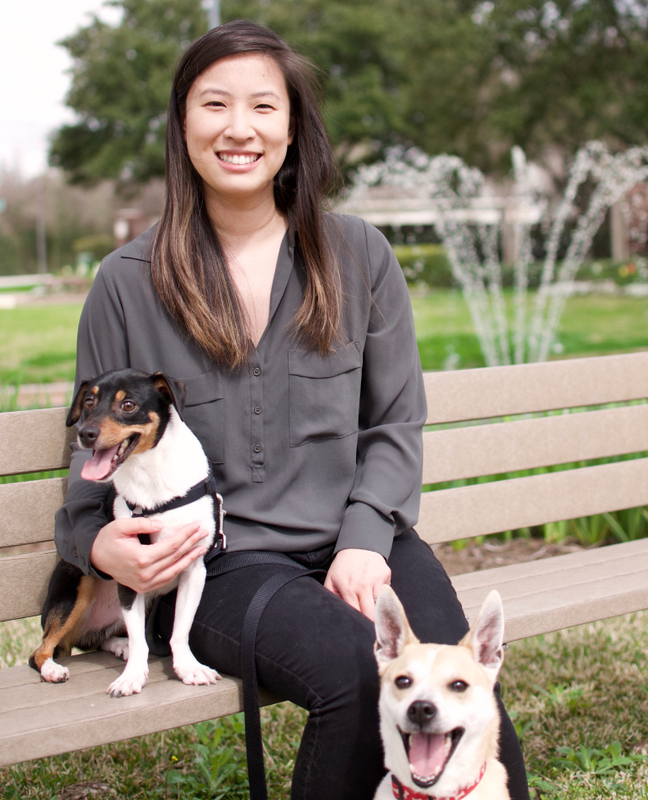 Dr. Chow earned her Bachelor’s degree in Biology from the University of Texas at Austin and her Doctor of Veterinary Medicine degree from Texas A&M University. She completed a one year, small animal medicine and surgery internship at VCA Vet Care and Referral Hospital in Albuquerque, NM. After her training, she worked as a small animal veterinarian in Dallas, Texas. She completed extensive ultrasound training through Sound Eklin Academy of Veterinary Imaging and received a Certificate of Completion in Advanced Imaging. Her primary areas of interest include feline medicine and ultrasonography. Dr. Chow shares her home with her husband, Phat, her daughters, Caitlin & Alex, and four felines, Twiggy, Shiner, Tuna, and Shadow. She enjoys spending time with her friends and family, running, and cooking. Dr. Stephanie Kuo received her undergraduate degree from the University of Texas, and her Doctorate in Veterinary Medicine from Texas A&M University. 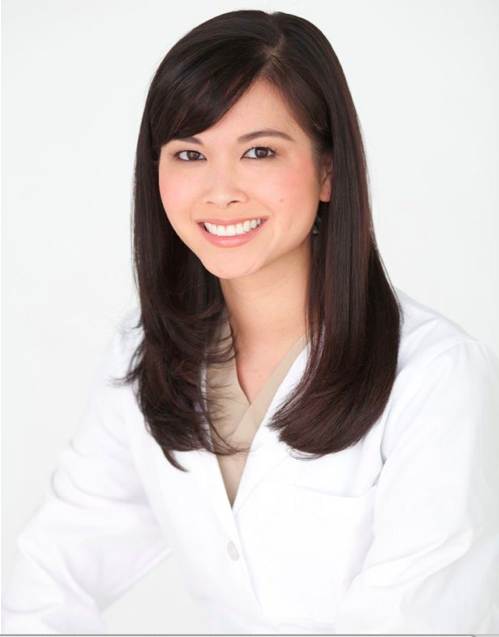 Dr. Kuo grew up in Houston, attending Cy Fair schools, and chose to return home and practice nearby. Dr. Kuo is also recently married and has two dogs, Isla and Beasley. When not practicing veterinary medicine, she enjoys cooking, discovering new restaurants, and exploring all things food related. Dr. Kuo also enjoys developing a strong relationship with the pet and his/her human. She is well versed in surgery, internal medicine and general wellness. She finds the most joy working with difficult cases and returning the pet happy and healthy to the owners! We are beyond excited to welcome her to the Circle B Family!